TThe inter element spacing is always 0.49λ when this design algorithm is used. If a directivity of less than 20dB, or a beamwidth of greater than 20 °, is specified, all the side-lobes will be equal and -20dB below the main beam directivity [Dolph-Chebychev excitation taper]. 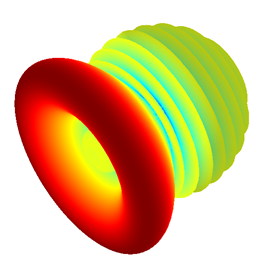 For higher gain designs, the first 5 side lobes will be -20dB below the main beam directivity [Villeneuve excitation taper]. The specification of the scanangle will introduce an inter element phase offset in the excitation. 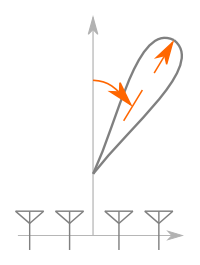 More information about how the array synthesis tool should be used can be found in the array article in the information browser. This article also describes the different excitation tapers in more detail, and provides references for further research.